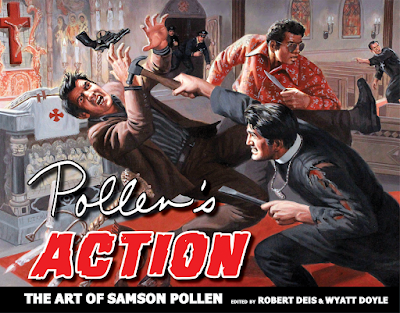 Available NOW: The Men's Adventure Library proudly presents Pollen's Action, the big, new, hard-hitting collection of vintage pulp fiction illustrations by the late grandmaster Samson Pollen, edited by Robert Deis and Wyatt Doyle. One of the greatest illustration artists whose work appeared in vintage men's adventure magazines (MAMs) from the 1950s to the 1970s, Pollen's specialty was action—dynamic, outrageous, larger-than-life action. His inventive compositions, experiments in perspective, and passion for visual storytelling made for a combustible mix, and Pollen embraced MAMs' freewheeling, over-the-top approach to entertainment, painting hundreds of jaw-dropping, explosive scenes captured at the moment of detonation. 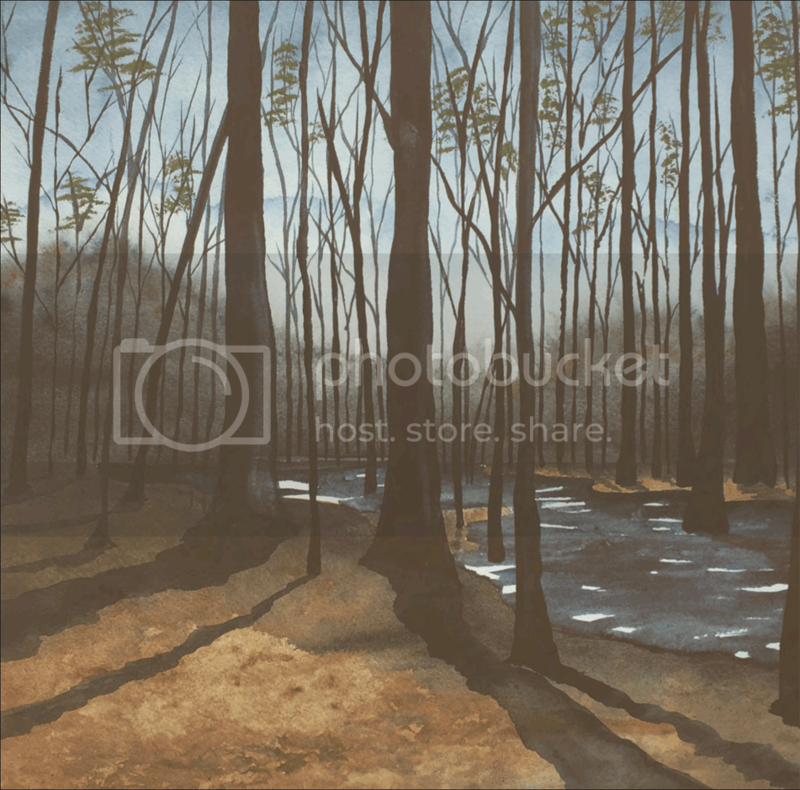 Illustrating work from authors like Mario Puzo, Richard Stark, Norman Mailer, Ed McBain, Richard Wright, Don Pendleton, Erskine Caldwell, Walter Kaylin, Robert F. Dorr, and countless others, Pollen's immersive illustrations transported adventure-hungry readers from jungles to battlefields to raging seas to mean city streets. Samson Pollen painted it all—spectacularly. The Men's Adventure Library follows the first-ever collection of the artist's illustrations, Pollen's Women, with Pollen's Action, a deluxe new volume collecting the cream of the artist's high-octane action paintings. Includes background and commentary by the editors and an introductory essay by the artist. Created in collaboration with the artist, Pollen's Action is available as a 138-page deluxe hardcover from New Texture; buy it via Amazon HERE.